The road out of this crisis leads straight through Congress. Cuando los huevos se ponen a peseta, hay que meter mano – When things get hard, you have to roll up up your sleeves and dig in. 3.5 million Americans who live in Puerto Rico are facing this moment. The debt crisis on the island has pushed it to a breaking point, causing unimaginable hardship. Things which should never happen in the United States are happening now: schools closing; electricity threatening to be shutoff to residents, towns, and hospitals; essential services cut; and insufficient access to certain medicines in hospitals. It is not surprising that thousands of Puerto Rican families are packing up their homes and leaving for the mainland in the face of this worsening crisis. The sense of hopelessness for the future is such that New York Congresswoman Nydia Velazquez movingly described a situation in which the hardest thing to find in a store in Puerto Rico is a suitcase. Over the last decade, more than 300,000 Puerto Ricans have left the island, part of the largest outmigration since the 1950s. All of this is unnecessary. When other communities, like Detroit, faced crises like this one, they were able to restructure their debt and rebuild. Puerto Rico has no such option. It needs federal legislation in order to restructure. Otherwise, the local government will be in the position of making an impossible choice between its people and its creditors. 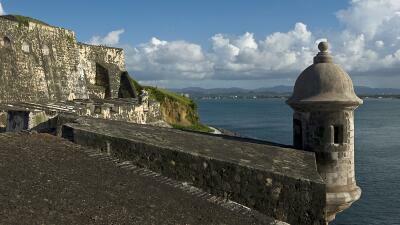 Today, over a third of Puerto Rico’s budget goes to debt payments. That’s many times more than anywhere else in the country – and that is money that cannot go towards investing in a brighter future or the everyday services on which people depend. This is not sustainable. The road out of this crisis leads straight through Congress. And to their credit, leaders on both sides of the aisle have joined the Administration in crafting legislation to address the immediate crisis facing Puerto Rico. It’s a bill that puts out the fire and gives Puerto Rico a chance to rebuild. None of the parties to the legislation would say that this is the bill that they would have crafted if they were doing it alone. It’s a compromise, and that’s how compromises work. For example, the legislation creates an oversight board to manage Puerto Rico’s restructuring and changes minimum wage and overtime protections on the island, which has caused understandable concern on the island about Puerto Rican sovereignty and the well-being of its workforce. And of course the bill does not address healthcare or economic growth, like the Administration proposed. If we alone were in charge, we would not include the minimum wage and overtime provisions, and we would make other changes. The bill is far from perfect, but this house is on fire. Right now. On July 1, Puerto Rico faces another devastating round of choices which will further harm the 3.5 million Americans in Puerto Rico unless Congress acts on this bill. Without legislation, creditor groups may run to the courthouse to file lawsuits against Puerto Rico to try to take its revenues and its assets. Those lawsuits would only further put at risk essential public services that are already woefully underfunded. And where PROMESA would require that pensions be funded, without legislation, Puerto Rico’s pensions stand last in line, imperiling the retirement security of hundreds of thousands in Puerto Rico. While there are things that all parties would change about the proposed legislation if they could, it is abundantly clear that if this legislation fails, there won’t be another bill to replace it. Those who object to some aspects of the legislation may have a point in their objections, but what they don’t have is a strategy to get relief to the island if the bill doesn’t pass. It’s time for Congress to act, and for partisans on the island and the mainland to do what’s best to put out the fire, to address the immediate crisis with the remedy at hand, and give Puerto Rico the space it needs to begin to rebuild and to restore hope.